Frame pad for round 4.90 m trampoline. 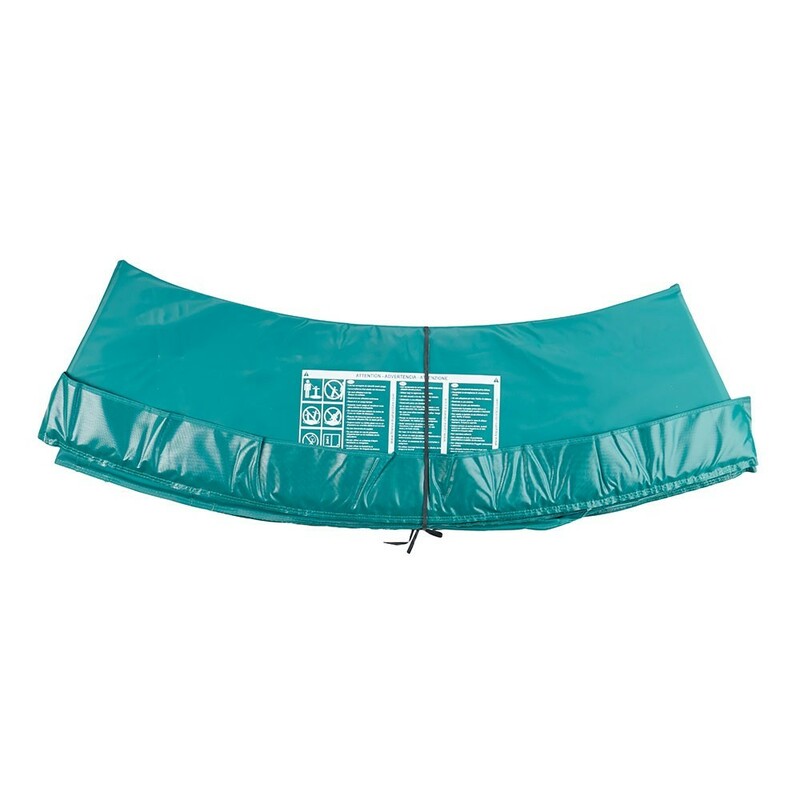 Guarantee the safety on your trampoline by replacing the frame pad as soon as it is damaged. 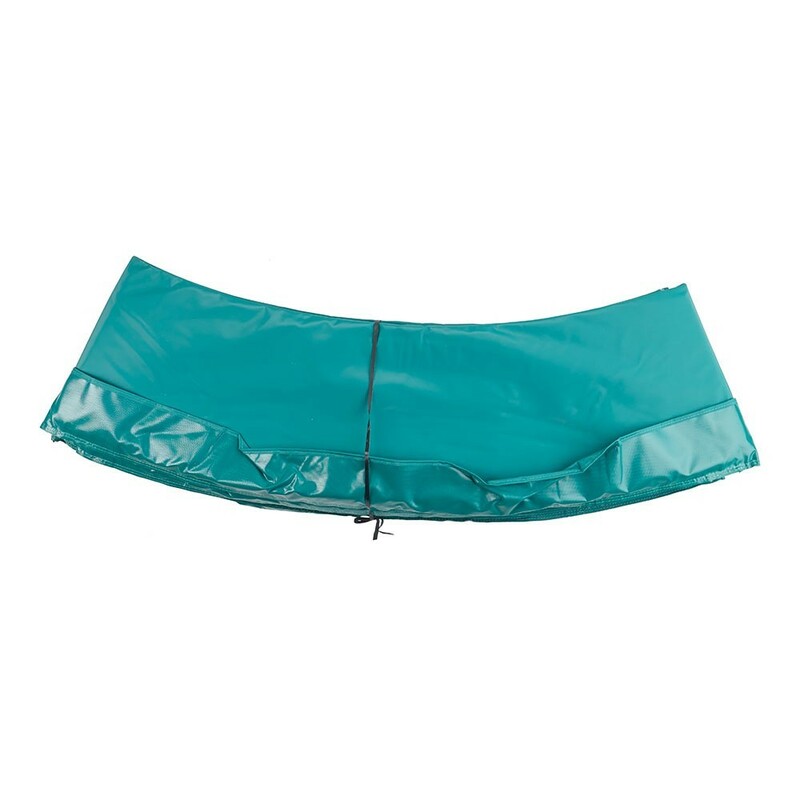 The frame pad covers the entire circumference of the trampoline including the springs. It protects you in case of a fall. As soon as the frame pad is damaged, make sure you buy a new one! 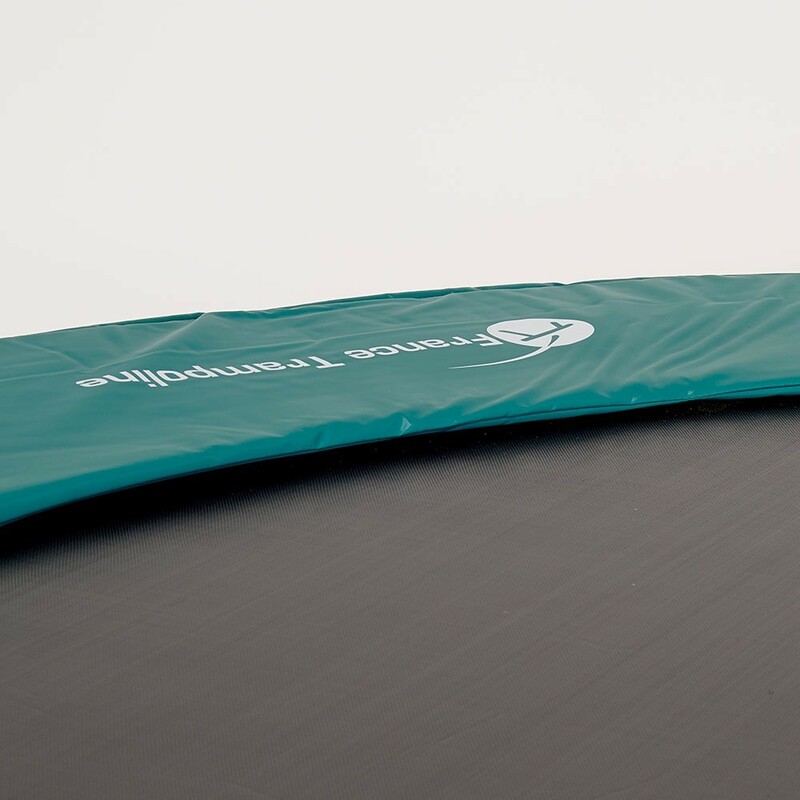 This Premium frame pad is adapted to all trampolines with a diameter of 4.88 m and springs measuring between 210 to 230 mm. - Our spare parts can be fitted to any brand of trampoline. Make sure you measure you trampoline carefully by measuring the exterior diameter. Your trampoline should have a diameter of exactly 4.96 m and springs measuring between 210 to 230 mm. 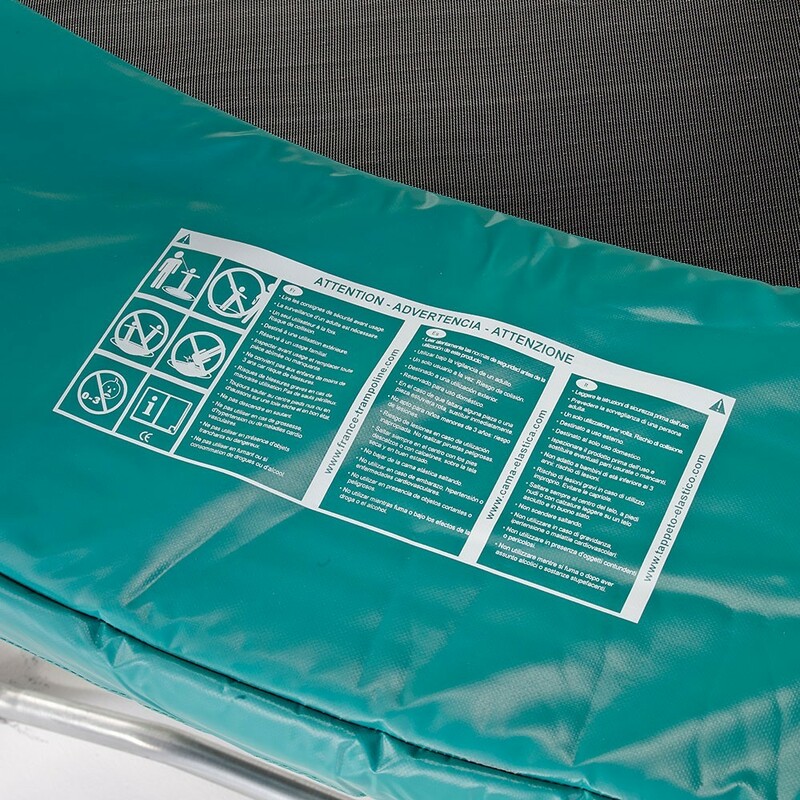 - The Premium frame pad is made from expanded polyethylene, also called EPE. It is a 30 mm thick foam but still incredibly flexible. It is therefore perfectly shock absorbant, will break any falls and will also be very weatherproof. - This pad is made from a foam monobloc. This implies that it is made from a single layer of foam, making it far more solid then most frame pads on the market, made from small slivers of foam. You will therefore not have to worry about the premature ageing of your frame pad. - We have decided to use a technical fabric covered in PVC with a density of 650 g/m² to cover this foam. 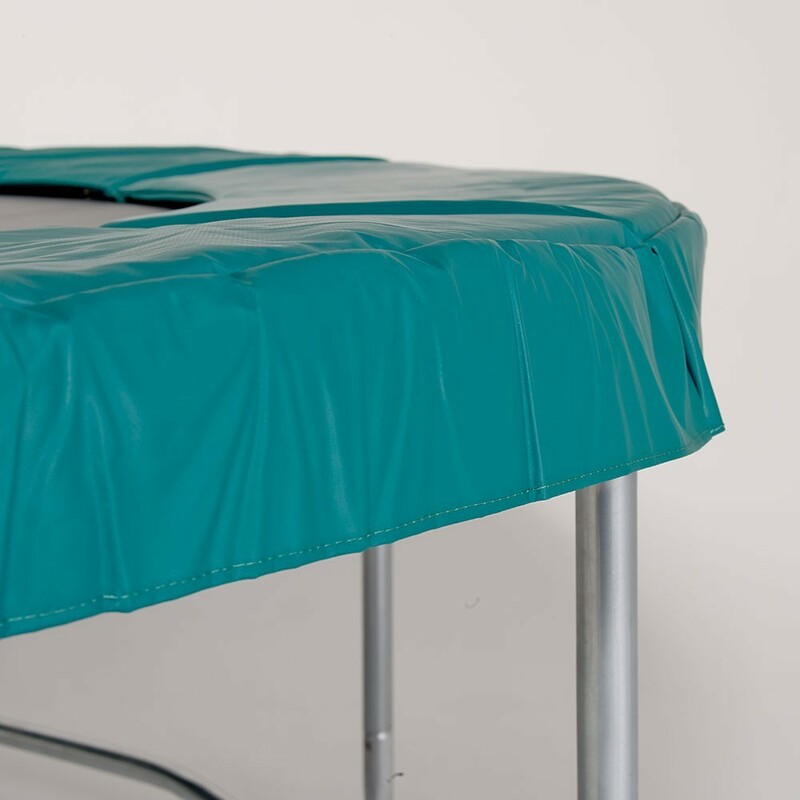 The PVC which covers this fabric has a thickness of 0.55 mm and will protect your frame pad for many years to come. The frame pad has a simple and efficient fixation system. It is made using 32 steel eyelets and 16 elastic straps. These elastics are threaded through the eyelets and are fixed to the steel framework of the trampoline. The main advantage is of the elastic fabric is that it allows flexibility, which is not the case with fabric straps.